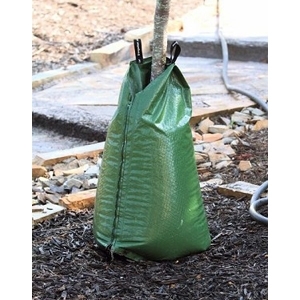 Treegator® is designed to properly water a newly planted tree or shrub by slowly and evenly providing deep water saturation directly to the root zone, with no run-off or evaporation - Every time. With Treegator®, there's no guesswork. Just fill the bag once a week... that's it. You'll water your trees and shrubs more efficiently and effectively than conventional watering methods and spend significantly less time and effort doing it.